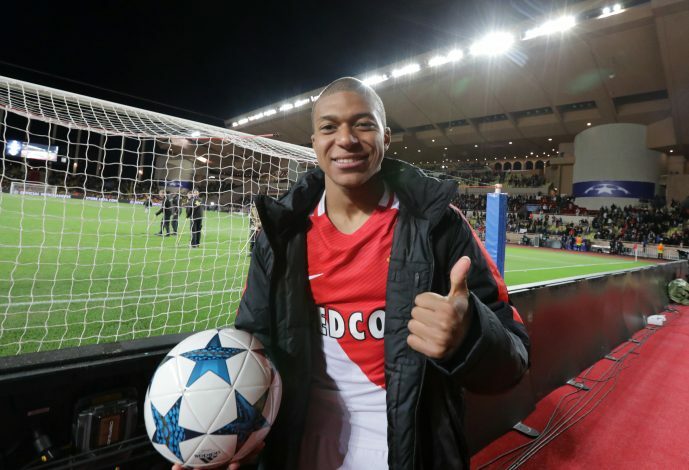 Monaco Wonderkid Kylian Mbappe is set to fend off the interest around him to stay put at the club for another year, according to the former Monaco player Ludovic Giuly. The highly rated and sought after French attacker has set the scene ablaze this year by scoring 22 goals and providing 5 assists so far this season. His recent heroics in Champions League, where he scored 5 goals in the knockout stages, have only added fuel to the interest around the teenager. But Giuly, the Monaco icon, has called out to the media to calm the buzz around the attacker, and has also had his say regarding the young starlet’s future at the club. “Mbappe has a contract to fulfill with Monaco and he will be here next season,” Giuly claimed. Giuly, who had two spells at Monaco, helped his team reach the final of Champions League in 2004. He will now be hoping his club’s current crop will match the coveted feat of making it to the finals this year.